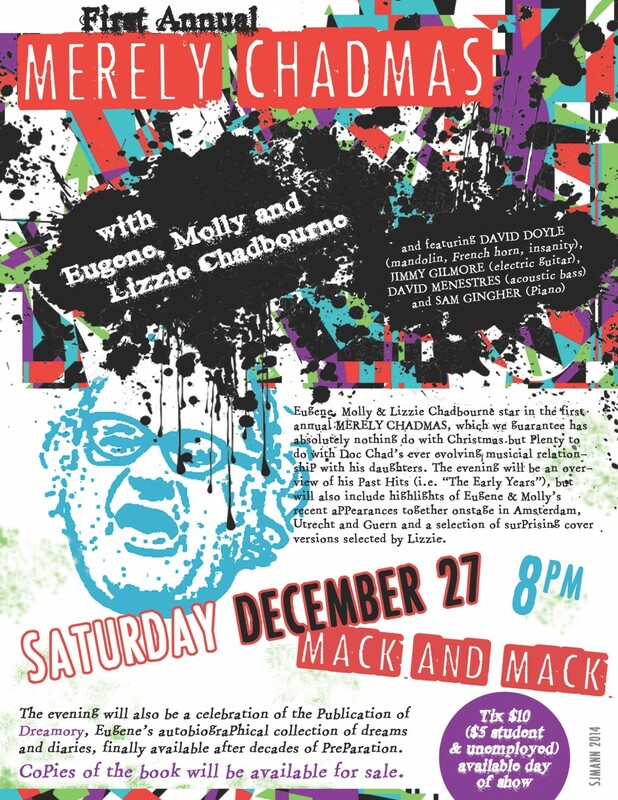 Eugene, Molly and Lizzie Chadbourne star in the first annual MERELY CHADMAS, which we guarantee has absolutely nothing do with Christmas but plenty to do with Doc Chad’s ever evolving musical relationship with his daughters. The evening will also celebrate the publication of Dreamory, Eugene’s autobiographical collection of dreams and diaries, finally available after decades of preparation. Copies of the book will be available for sale.